Enter your email address to subscribe to Packing It All In and receive notifications of new posts by email. 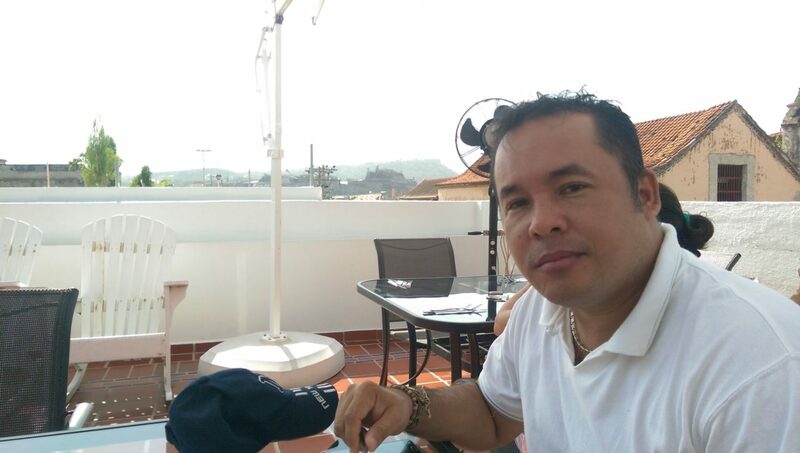 Alvaro, one of my co-teachers at school, and me visited Cartagena for a short city break in the July holidays. We stopped in a beautiful colonial style hotel, with white walls, an interior patio and hot and cold running WiFi. Each morning we sat on the roof terrace and looked out at the castle while having our breakfast. This was usually in the glare of the morning sun, but still early enough for the temperature to be bearable.